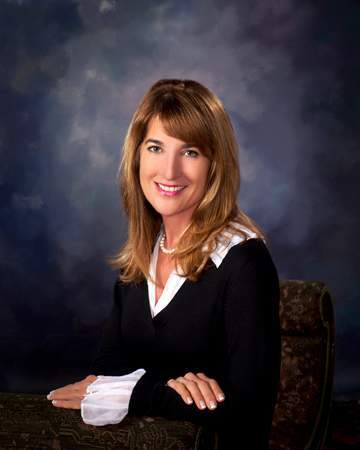 Cheryl P. McLeskey is the President and Chief Executive Officer of McLeskey, a family owned and operated commercial and residential real estate development and leasing company, headquartered in Virginia Beach. Her passion for adventure and her love of the ocean are deeply rooted from her father who was a World War II frogman and one of the first to clear the beaches of Normandy during the U.S. invasion. She is an accomplished swimmer, a champion fisherman, and a licensed pilot. As the chief executive officer, Cheryl oversees and works closely with a staff of 30 professionals who are committed to providing superior customer service. McLeskey was founded in the 1950’s by F. Wayne McLeskey Jr., Cheryl’s husband, one of the most influential developers in the region. McLeskey has diversified holdings, which include, commercial projects, single-family houses, multi-family rental property, a mobile home community, marinas, charter boats and undeveloped land. Wayne’s influence was especially strong in Virginia Beach with his concentration of holdings making him one of the city’s largest taxpayers. He supported many communities and civic organizations financially and served on numerous boards. He was a catalyst for creating one of Virginia Beach’s premier assets, the Virginia Aquarium & Marine Science Center, and was a major contributor to the Sandler Center for Performing Arts. Cheryl took the helm of the company after Wayne’s death in 2012 and has continued to honor his legacy through exemplary leadership and philanthropy. Her vision is to grow the company through quality developments, maximizing the potential of the company’s extensive land holdings, while positively impacting the community. In 2011, Cheryl and Wayne formed the McLeskey Family Foundation which provides valuable financial support to charitable organizations. A few of the organizations include, JT’s Camp Grom, Virginia Aquarium & Marine Science Center, International Cooperating Ministries, F. Wayne McLeskey Jr. Memorial Power Boating for a Cure Poker Run, and the Military Aviation Museum. In addition, Cheryl supports many organizations personally, including, Achievable Dream, Cycle For Survival, Junior Achievement, JDRF Hampton Roads, Sandler Center Foundation, Virginia Beach Police Foundation, Regent University, Navy Seal Foundation, Operation Blessing, Stop Abuse, Wine Women and Fishing, McMahon Parater Foundation, Champions for Kids, Cerebral Palsy of Virginia, and many more. Appointment by Governor McDonnell for Region 7 in 2011 covering Hampton Roads and Virginia’s Eastern Shore. Reappointed by Governor McAuliffe in 2015. Cycle for Survival is a national movement to beat rare cancers through high-energy team cycling events that raise funds for lifesaving rare cancer research. This annual celebration of life in Virginia Beach generates $18 million in economic impact annually and more than $100,000 for charitable organizations such as EQUI-KIDS, Virginia Beach Rotary, Virginia Beach Jaycees and Navy-Marine Corps Relief Society among others. A non-profit organization that prevents child abuse through education, detection and referral. The Virginia Aquarium & Marine Science Center is a public/private partnership between the City of Virginia Beach and the Virginia Aquarium & Marine Science Center Foundation. Tidewater Builders Association represents more than 500 companies that serve the shelter industry in South Hampton Roads and the Eastern Shore of Virginia. Regent University is one of the nation’s leading academic centers for Christian thought and action. Cheryl was the Chair of the University Library Committee. World’s Largest White Marlin Tournament. First woman to ever win the White Marlin Open in their 42 year history and the 3rd largest white marlin ever caught in 42 years. Cheryl is also a major sponsor for this annual fishing event that has raised more than $400,000 for breast cancer research at EVMS.